After “cooking” the all-natural ingredients in huge cauldrons, we pour the paste into open pits where it hardens. Then, we measure and cut out big, 80-pound blocks. Those blocks are then put through wire cutters and stamped into cubes that are famous throughout the world. But sometimes we take out some bars before the stamping part. 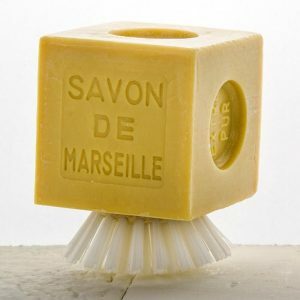 These are the 1,600-gram “raw bars” — pure Savon de Marseille without the decoration. 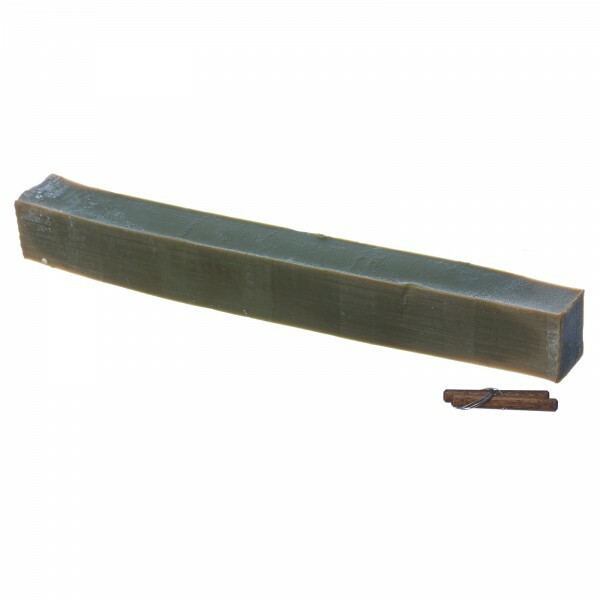 This is a huge amount of the best, most gentle soap on earth at an unbelievable price for a limited time. We then can lop into eight pieces for you or you can leave as a bar. When cut each cube measures approximately 2 inches on each side and weighs about 200 grams. Left whole the bar is about 18 x2 x2 inches.